This is a highlight reel for Elijah Grady, a 6-foot-5, 295 lbs. 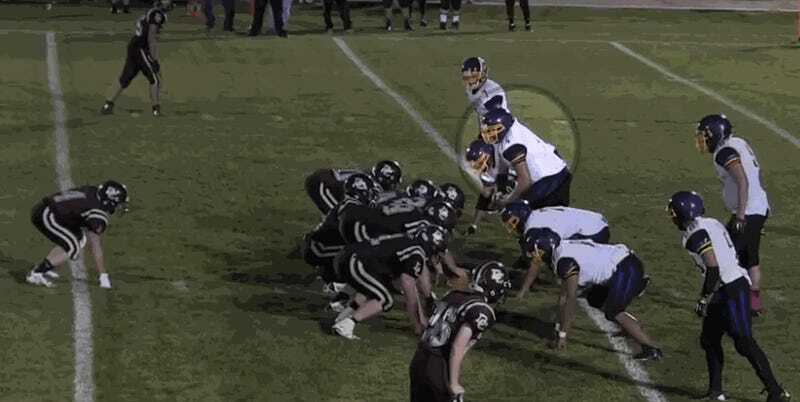 senior who plays nine-man football for New Town High in New Town, N.D. Grady is technically an offensive tackle, but as you can see in this reel from Hudl.com, he does pretty much everything. Which is to say, if you like fat guy touchdowns, this is the video for you. Grady will be playing for the University of North Dakota next year, and I have no idea if he is actually good enough to make it in the college or pro game. I do know that I very much enjoy watching him Hulk smash entire teams of overmatched yokels.